Ahead of it's New York IPO, China's leading e-commerce company introduces itself to American shoppers with 11 Main. 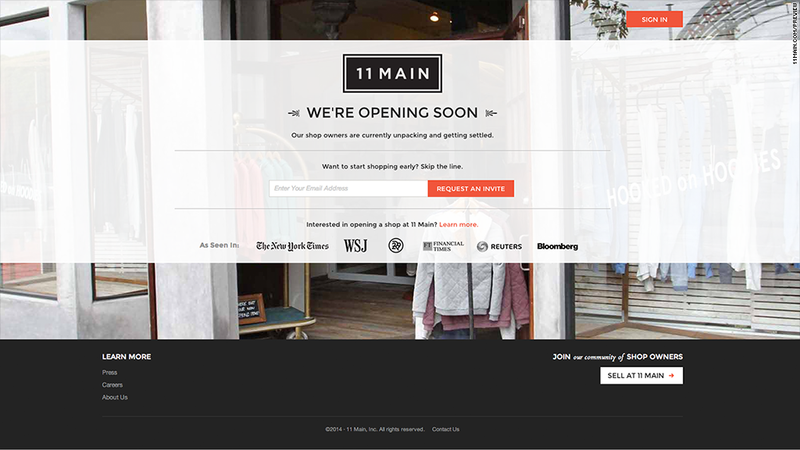 Chinese e-commerce giant Alibaba is marking its territory in the United States with the launch of a new, invitation-only online shopping hub called 11Main.com. Named after main streets across America and marketed as "the best address for your business," the internet marketplace sells fashion items, jewelry, home goods and art from a selection of boutique vendors. Currently in its "beta" phase, the site directs shoppers and shop owners to request an invitation in order to participate in the 11 Main experience. In a statement, Michael Zeisser, head of Alibaba's U.S. operations, emphasized that 11 Main's collection of merchants selling specialty products is an example of Alibaba's commitment to growing small businesses. The site also focuses on shaping and communicating its sellers' brand identities, encouraging them to "tell a story" and "describe their journey, passion and point of view" through their shop profiles on the site. The 11 Main launch follows parent company Alibaba's decision to go public in the United States, filing in New York last month with an IPO expected to raise upwards of $20 billion, which could value the company at over $100 billion. Alibaba made headlines stateside at the end of 2013, when Yahoo's (YHOO) 90% jump in shares over the course of a year was largely attributed to its 24% stake in the Chinese company. In China, Alibaba continues to expand it's reach, announcing today that it bought up the remaining stakes of UCWeb to take full control of the Chinese mobile internet software company. Alibaba has been described as a mix of Amazon (AMZN), eBay (EBAY) and PayPal. Its place among the American internet companies is soon to be determined, with 11 Main testing the waters as its first introduction to American consumers.